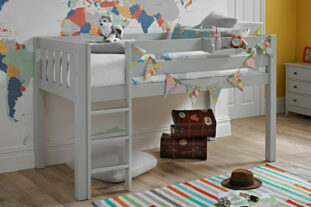 The new stylish and fashionable cool grey midsleeper is another classic in the Solitaire range. 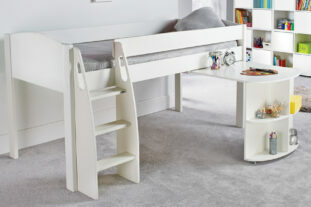 This super study bed is perfect for your little girl’s room. 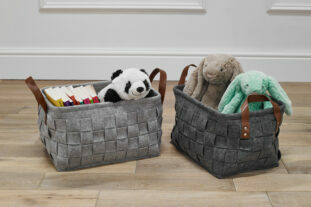 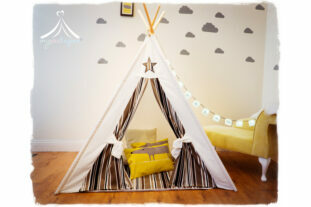 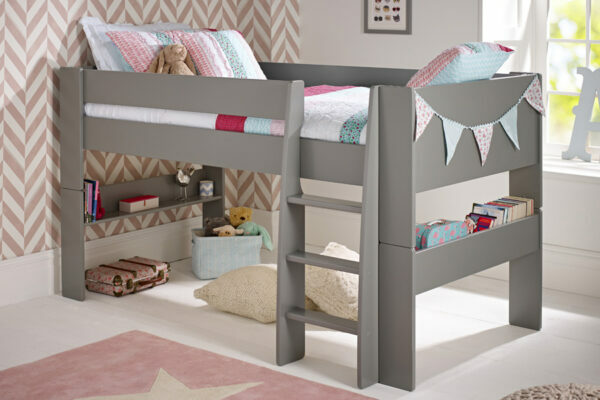 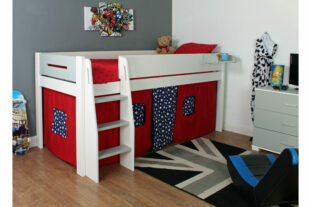 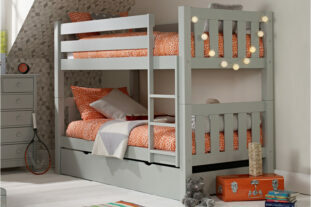 With oodles of room underneath it’s brilliant for playing, storing toys and even to keep a mattress for sleepovers. 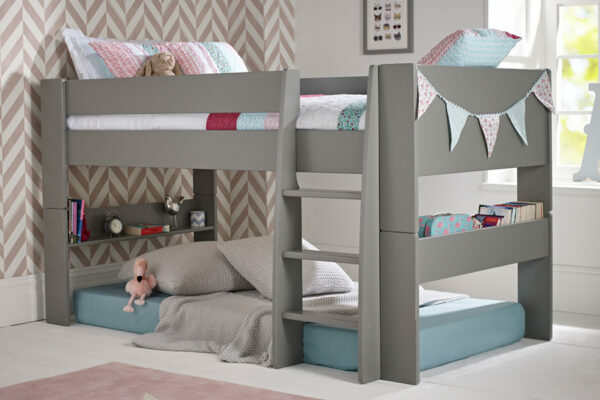 It’s a great space saving solution and can split down into a single bed too. 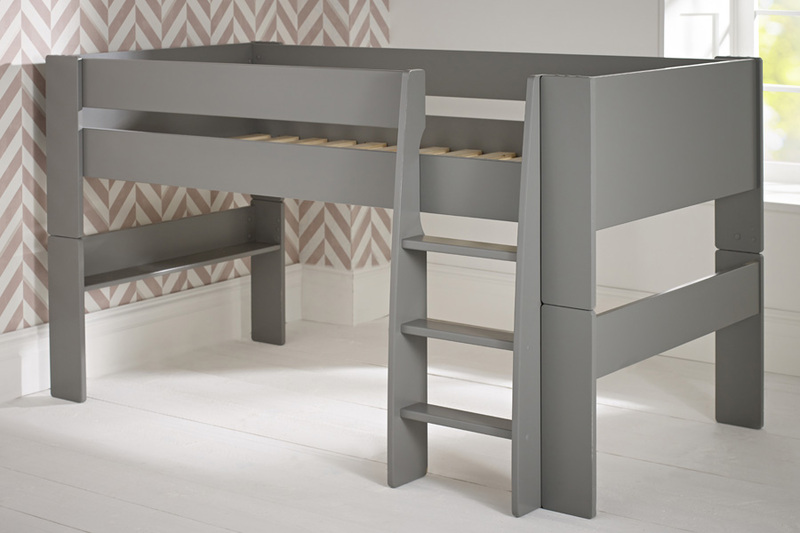 This is a a really solid bed. 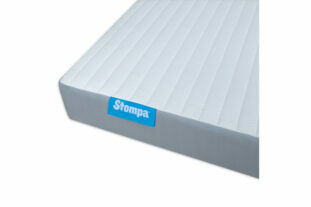 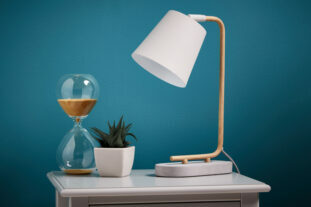 Really good quality- very heavy. 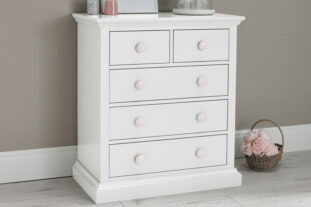 The instructions are clear but it was a long build (granted I did it alone and I wouldn’t consider myself a flat pack pro) I completed it in an afternoon and it was well worth the effort.